In her lecture, Morita-Mullaney will discuss how Asian Americans are often described as “model minorities” and do not fit into typical discussions surrounding race that are framed by an African American or Caucasian binary. Morita-Mullaney’s research suggests that this ‘in-between’ space positions willing Asian Americans to serve as effective problem solvers for racial conflict. 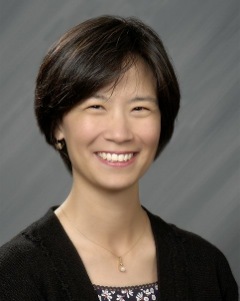 Morita-Mullaney has studied extensively the intersections between language learning, gender and race, which are informed by her racial and ethnic identity as a third-generation Japanese American. Guided by critical and feminist thought, her current research projects examine how Asian students and educators are positioned within the field of education. "From the time Trish was a student, she loved engaging the world around her,” says Professor of History Dale Soden. “I have always admired her heart for service and the larger community." Morita-Mullaney graduated with a bachelor’s degree in communications in 1989; while an undergraduate, she served as vice president of Associated Students of Whitworth College and received the Servant Leadership Award for her contributions to the Whitworth community.